India has the highest population in the world that is categorized as youth. The youth of India needs meaningful and gainful employment and this leads to requirement and emergence of coaching institutes to help them prepare for Government services. Coaching institutes for Civil Services Examination have existed for a long period of time. However, these institutes have not been able to churn out the results in a way that had been expected from them. The reasons for this are far and many and civil services aspirants are at the receiving end of the problems of the coaching industry. Any private organization will work on profit motive and this has become the most important motive of coaching industry. There is nothing bad in having profit motive but one should not compromise the quality of education delivered to the students. The questions are raised not only on the quality of education but also on the overall support system offered to the students. Anyone who is preparing for one of the toughest examination in India should get much more then what they are getting right now. There is a simple question that can help us solve this riddle. If we ask that which education system (learning-wise) has impacted you more; school education or college education. Most of us will say that it was school education which had a more long lasting impact on one’s learning potential. There are reasons for it and this can be proved using empirical data. During school education, we had supports at multiple level a) Class Teacher, b) homework, c) support from parents and d) regular tests and examination. The closest analogy for the civil services exam is that it is a race and not just a normal race; it is a marathon. It requires full utilization of your mental and physical faculties for a longer (Minimum 12-18 months) duration of time. Competition is tough and when one third of India teeming 1.25 billion are youth, the journey is tough, really very tough. Over and above this you have to handle a syllabus which will cover anything under the sun. This simply means that anyone who is preparing for the examination will require a lot of support to ace the examination. Sitting in a class of hundreds of the students is not the kind of solution that will give even a good candidate a fair chance to compete. Civil Services Aspirants will have to be more cautious while selecting a coaching institute. They are not just enrolling for classes to gain the required knowledge but are primarily seeking the structure and guidance that is needed to help prepare them for the toughest examination in India and possibly in the world. In order to assess the learning system to be subscribed, you need to understand the Good, the Bad and the Ugly of the civil services institutes. To know syllabus and stages of the exam (this serves as a map to your destination). To go through the previous years’ question papers and understand the trend. To have a detailed schedule to adhere by (which subject to do when and how much time to spend on each topic). To remember that the internet can be a boon or a bane as the most important is to know what NOT to study. Know what you need from the coaching institute. If you need guidance, how do you get it from the institute? How does the institute provide a complete learning eco-system for the civil services exam? Details of their syllabus coverage plans or the class schedule. 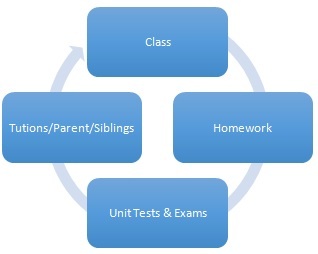 Integration of class study, regular practice and self-study is essential. Frequency of class tests and the quality of test series offered by the institute. Provides a structure to your preparation for the exam. Most of the institutes don’t have fixed class schedules. Most institutes don’t have a system to tackle revision and practice in sync with classes. Focus on core subject knowledge only. However, the need of the hour is to deliver courses in close sync with the current happenings. 300-400 students per class in most of the institutes. No personal attention to the students. No proper schedule for the classes thereby no proper self-study for the exam. The ‘G’ of guidance is not available due to packed schedules of the teachers. Disclaimer: The information provided in this Notification is solely by Unique Shiksha, Jagranjosh.com bears no representations or warranties of any kind, express or implied, about the completeness, accuracy, reliability, suitability or availability with respect to the information. Individuals are therefore suggested to check the authenticity of the information.